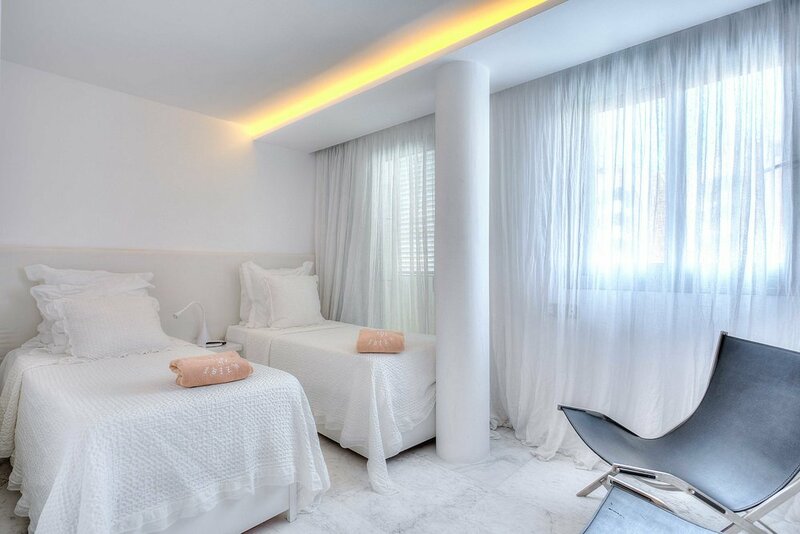 This is the Ibiza Royal Beach Crystal apartment sale page of Apartments in Ibiza. 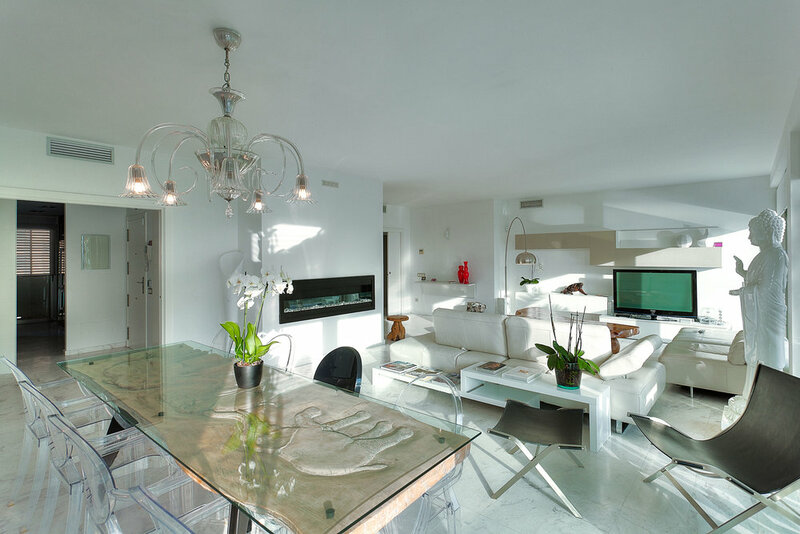 Your perfect place for Ibiza apartment sales and rentals. We have been selling and renting apartments and villas on the beautiful Balearic island of Ibiza since we were established in 2003. 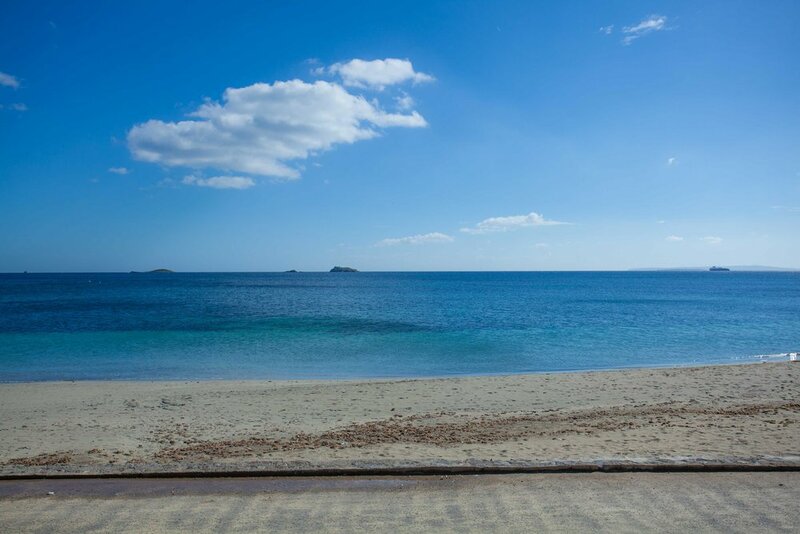 Ibiza Royal Beach Crystal is front line to Bossa beach with amazing sea views. 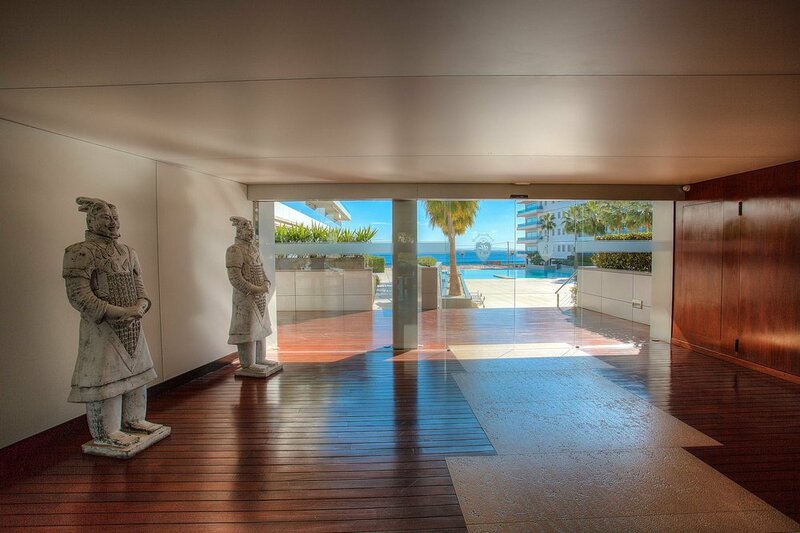 Being part of the prestigious 'Ibiza Royal Beach' residential complex there is a 24 hour reception, private beach attendant and private parking. Each of the five bedrooms have their own en-suite bathrooms. 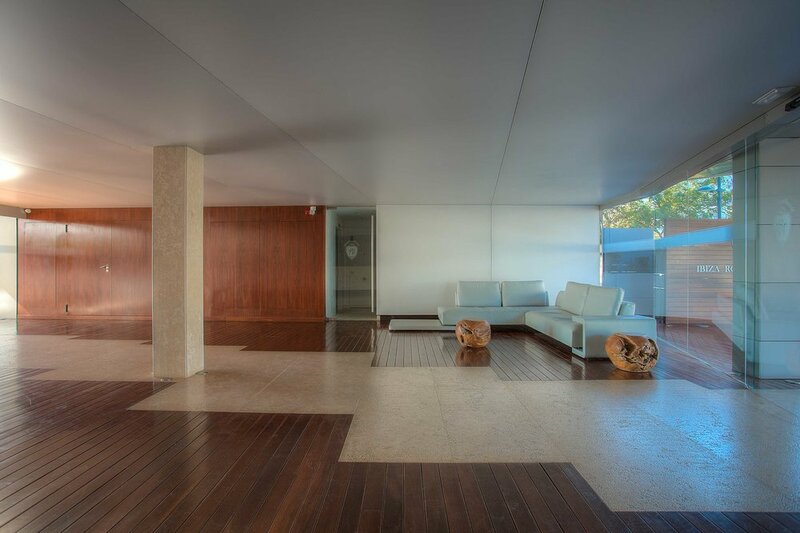 The large open plan lounge is wonderfully bright with sliding glass doors opening out on to the terrace where you can relax and take in the views. 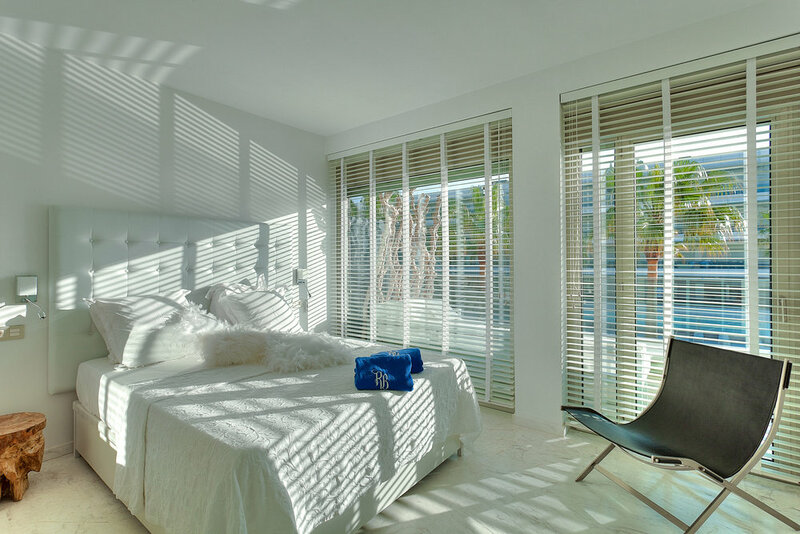 The master bedroom also has its own terrace and again fantastic views. The apartment currently has fibre optic internet connection. Other features include a fully equipped kitchen, electric roller shutters and a beautiful and cosy fireplace inside and outside the apartment to feel at home even during the few winter months. 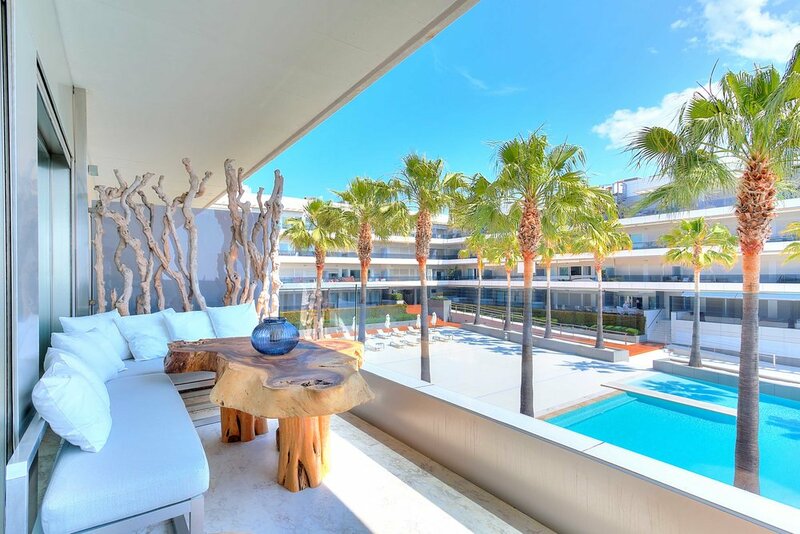 The Ibiza Royal Beach apartments are directly on the beach on the Playa d'en Bossa side of Ibiza town. They are handily placed for the airport, Salinas beach or the Dalt Vila itself. Ibiza town can be reached by foot, local bus, car or a ferry that runs directly into the port, from just along the beach. The well maintained garden looks fantastic both during the day and when illuminated at night. This makes for a tranquil haven where you can unwind and relax. You can either sunbathe by the pool or take just a few steps to swim or sunbathe on the beach. The beach itself is very good and there's delightful views of the Dalt Vila and the nearby island of Formantera. Then of course there's the wonderful Mediterranean sea and after your swim it's only a short distance to your apartment. In the local area there are plenty of shops, bars and restaurants with many more just a short taxi ride away. In particular there are many very good beach bars and restaurants just along Bossa beach. The apartments themselves are a haven away from the hustle and bustle of the island.